Akshaya Kumar Mohanty, popularly known as Khoka Bhai born on October 12, 1937, was a gifted singer, composer and lyricist. During his life, Mohanty had composed more than a thousand songs and penned hundreds of evergreen Odia numbers. His journey as a musician commenced with his interest in music in the 50’s. At the age of 22, Akshaya Kumar Mohanty joined Government services at Cuttack. However after seven years he quit his job to devote himself completely to music. In 1959, he commenced his playback singing with the song “Gori Gori Gori” from the Odia movie “Maa”. By 60’s, without any such formal education in music, he had established himself as a singer. It was this absence of training which permitted him to explore and to be creative. He was a pioneer of non-film modern light songs based on contemporary themes and ballads based on popular legends in Odisha. In addition to this he has also written a few novels, short stories, poems and a travelogue. He has also co-directed a movie and has also acted in three movies. He has won many awards for his perseverance and skill. He won the “Jayadev Award”- the highest State Award in movies. He has also won the State Award for “Best Playback Singer” seven times and State Award for “Best Composer” two times. Besides this he has also received many awards from “Orissa Cinecritic Association” and has established himself as the most skilled and innovative geniuses of modern Odisha. 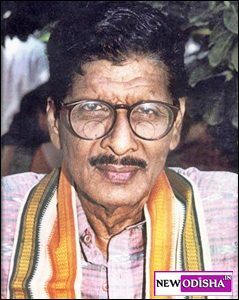 Give Responses for "Akshaya Kumar Mohanty Profile and Biography"